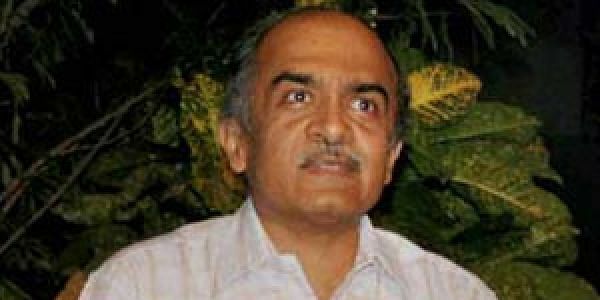 NEW DELHI: Citing the findings of an independent study on MNREGA, Swaraj Abhiyan president Prashant Bhushan accused the Centre of "throttling" the rural employment guarantee scheme by not allocating sufficient funds for it. The study report, shared with the media in a press conference today, contradicted the Centre's claims that 85 per cent of MNREGA wages were paid in time, saying the figure stood at 32 per cent. The study analysed 4.5 million transactions in 3,603 panchayats of 10 states, for the first two quarters of the current financial year. The data by the Ministry of Rural Development was used, said independent researcher Rajendran Narayanan. Bhushan alleged that the budgetary demand for MNREGA scheme as per work assessment by the states for the time period mentioned in the study was around Rs 80 crore but the Centre had allocated only Rs 48 crore for it. "By August 1 this year, 80 per cent of the allocation for the scheme was exhausted and in next three months (September, October and November) eight per cent of the allocation was spent," he said. Now, the situation is that the government is "throttling" MNREGA as the states and panchayats are not providing any jobs to the "distressed" rural workers, Bhushan alleged. Yogendra Yadav, president of Swaraj India party, said even farmers' organisations from all over the country, have raised the demand for timely payment of wages under the scheme. He said Swaraj Abhiyan's PIL would be taken up by the Supreme Court on December 5, in which non-payment and delays of wages and compensations would be raised. "I hope the Supreme Court would give specific directions in this regard," Bhushan said. The actual delay in payable compensation for the panchayats studied was Rs 7.52 crore but the Management Information System calculated it to be Rs 1.03 crore, Narayanan said. "So, the undercalculation rose sharply to 86 per cent in the first two quarters of current year. It was 57 per cent last year," he said. As per the MNREGA scheme, the wages are stipulated to be paid by 15th of every month, after which a delay compensation at the rate of 0.05 percent of the wage) is guaranteed.